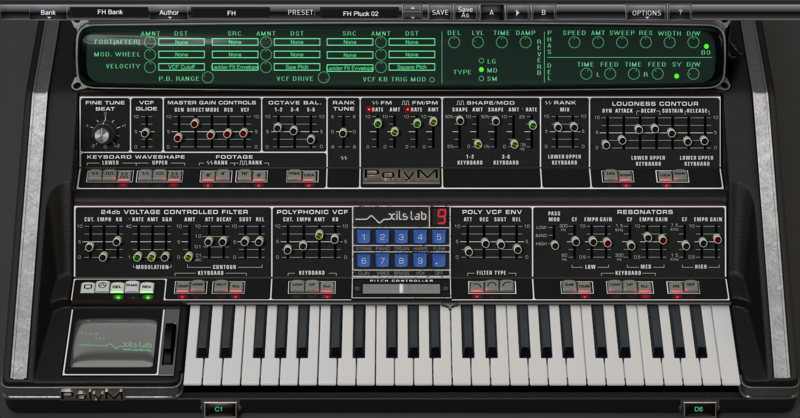 This instrument is a faithful emulation of the Polymoog synthesizer, originally released in 1975. Added to the original features are polyphonic filter controls, a modulation matrix, three effects (delay, phaser, and reverb) and a preset interface. This device should appeal to musicians and producers who looking for authentic plug-in versions of retro vintage synths. It is not an easy synth to initially wrap your head around because it doesn’t conform to what users may traditionally consider the “standard” synth signal flow. Some of the control nomenclature may be unfamiliar to younger users. It is basically an organ/string/brass synth using divide-down oscillators passing through voltage controlled filters and amplifiers…. technology that was used in the mid 70s as a way to create a synth-like sound with full polyphony. The unit’s general strength appears to be the creation of lush pads and simple saw/square keyboard presets in the electric piano/clav tradition. 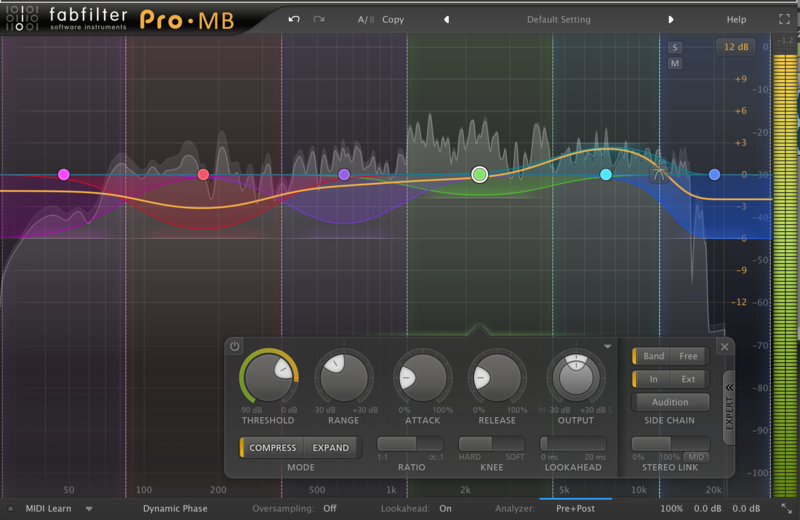 Because of basic tone creation scheme, it presents a somewhat limited voicing signature to the preset library. The addition of the polyphonic filter, modulation matrix and effects improve the sonic capabilities greatly, giving the unit a more (and in many cases: stereo) modern sound, not available from the original unit’s feature-set. I found the user manual’s section by section control function explanations clear and tutorial-like enough to quickly grasp how the unit generates a sound. I was able to create my own presets from scratch utilizing the Predefine Presets section rather quickly. Building off the included preset libraries gave me more insight into patch creation structure. I was able to create a number of presets that fit well into some of my compositions. 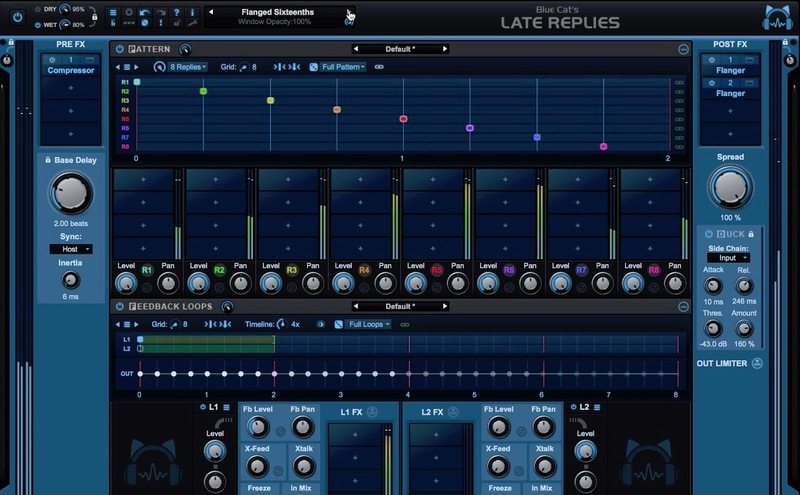 It will appeal to users who are fans of vintage/retro emulations of classic synths. The unit’s primary strength is that it is a faithful reproduction of the sound of the original unit. Its GUI doesn’t stray from the original hardware design beyond the addition of the polyphonic filter controls, modulation matrix, effects, and the preset interface. 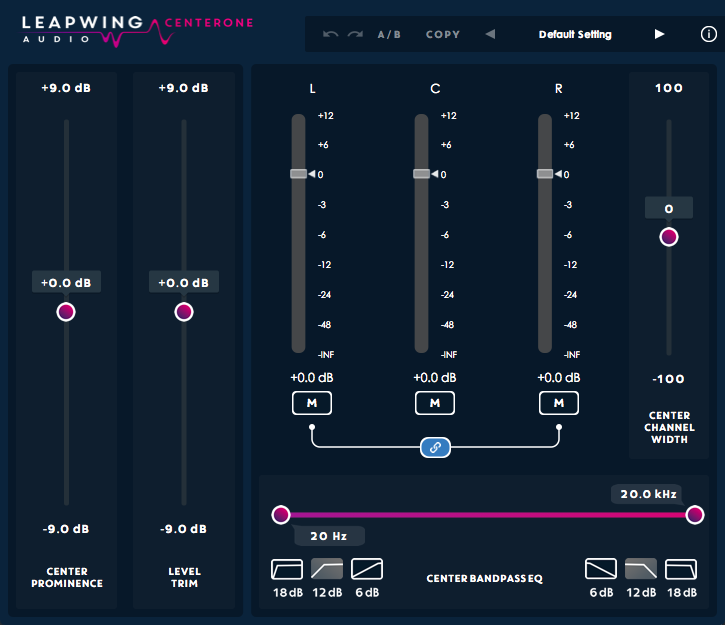 Competition in this market segment would be primarily Arturia and IK’s new Syntronik line of emulations (and to a lesser degree, some of NI’s Kontakt and Reaktor’s offerings). 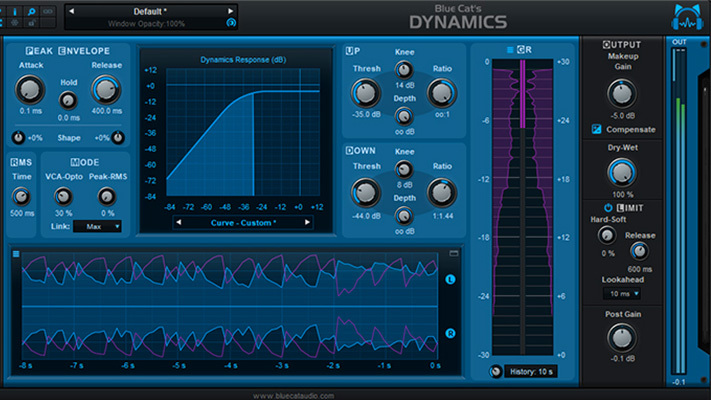 The XLIS advantage here, is that the sound generation is truly authentic sounding throughout the entire signal chain, as opposed to what it competitors present as “authentic”. It is a niche product and because of this, it needs to be marketed in a manner that places its outstanding authenticity against the competition’s products. Because it is based on the Polymoog, it stands alone in a sea of “me-too” synths. It’s the only one out there, as far as I know. And because it has Moog heritage, the brand recognition should be taken advantage of in selling it. 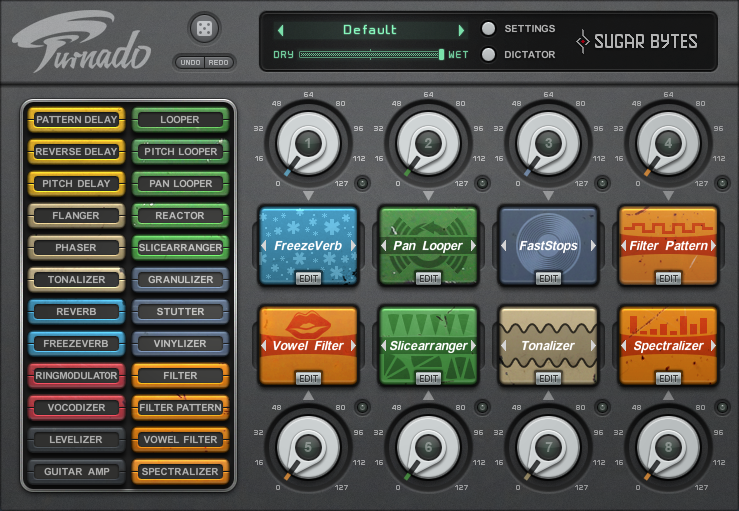 The additional features push its original sound creation capabilities into an area that will appeal to producers looking for ways to modify and automate possibilities that were not possible with the original unit without immediately sorting to insert plug-ins to enhance the sound. I was disappointed to find that the installation did not include (or install) a user manual in the package, and that it required going back to the website to locate and download it. My opinion is that this document is mission critical to get up and running quickly and should be available for download or immediate display under the “?” button on the Tools Bar. I would prefer if both the A/B memories always populate with the selected preset. To me, the point of an A/B switch is to experiment with a preset and have the ability to immediately switch back to what you started with, for comparison. Poly M’s A/B structure, while interesting, can defeat this simple paradigm. Interface #2. It is my opinion that a second GUI, laid out more in-line with the Audio Flow diagram, and in a less skeuomorphic fashion, using simpler generic nomenclature may appeal to a segment of the market put off by the Poly M’s adherence to a 40-year-old interface (whose layout may have been dictated by circuit board/wiring restrictions at the time). Rearrangement of the order of some section elements would also be suggested here. 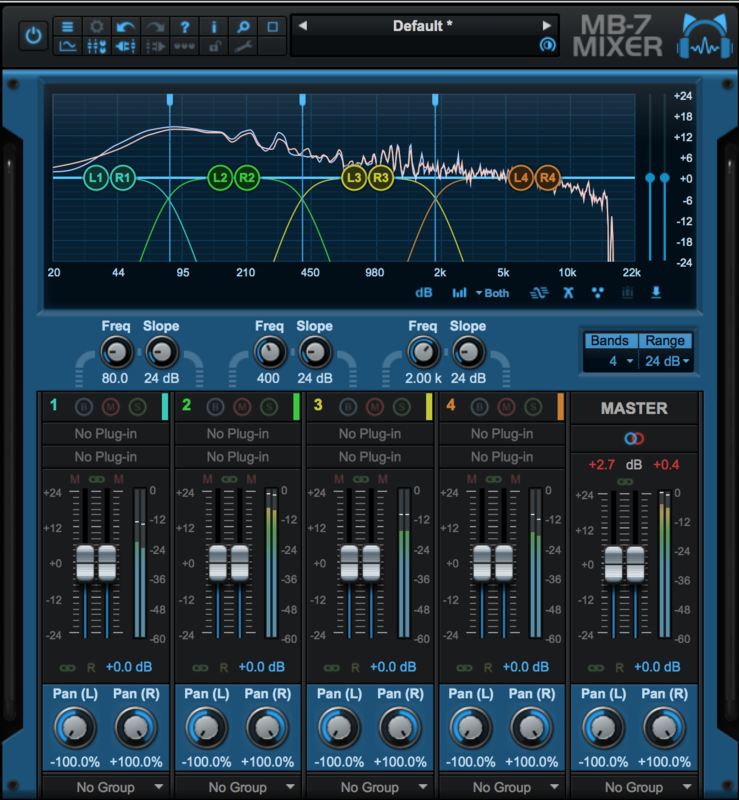 An example would be to place the Master Gain Controls GEN fader last in line and changing its name to Master Output Gain. Does MODE clearly describe the function of this fader? Another reason for this would be perhaps to display and activate/deactivate unused sections of any particular preset. I found in my experimentation with the interface, certain components made no contribution to the sound (reinforced by “greyed out” modulation source/destination menus). I found this somewhat confusing and felt there might be a way to clearly illustrate what is actually utilized by a preset. While I might be totally off base with this, my point to this suggestion is the possibility of increasing sales by providing a contemporary design that suggests less manual reading in order to quickly tweak and program presets without being tripped up by the signal flow structure. Streamline the Preset mechanism. I am in favor of a more “one stop shopping” kind of interface where all the variables are available after you initiate a simple Save or Save As dialog. 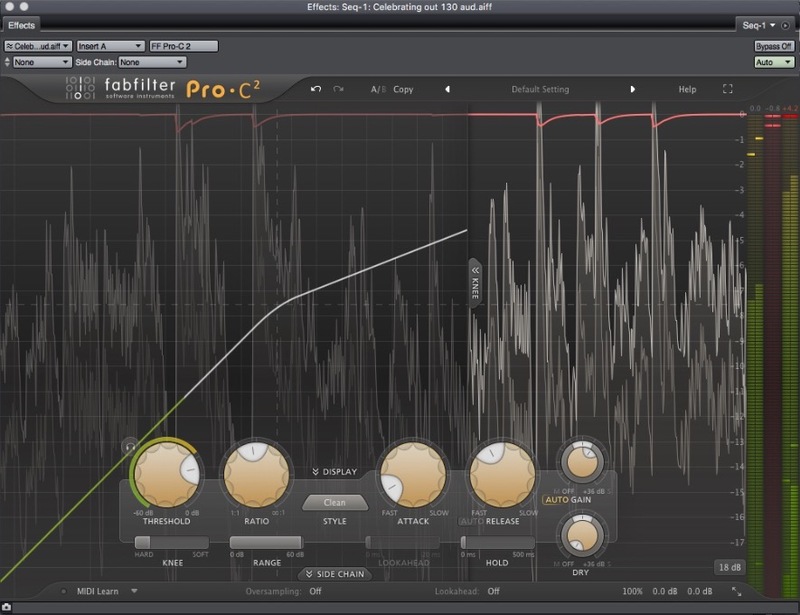 The gain structure in the Master Gain Controls could use a preference option to drop (or pad) the range of Direct, Mode, Res, and VCF by perhaps 10dB. I found that far too often I was overloading the output of the gain structure and that I had very little fader “play room” (about a 1/8th inch at the bottom of the track) in order to back off and balance the elements. Not mission critical but useful, in my opinion. It’s an incredibly faithful reproduction/emulation of the Polymoog. If you loved the sound of the original hardware unit, you won’t be disappointed.